The Lions Club and Specsavers Ópticas share the same goal – to end avoidable blindness and improve people’s vision, by ensuring everyone has access to glasses. On the Costa del Sol, the stores are working with Lions International in Marbella and the La Cala de Mijas Lions to collect unwanted glasses and distribute those glasses to people who need them in developing countries. 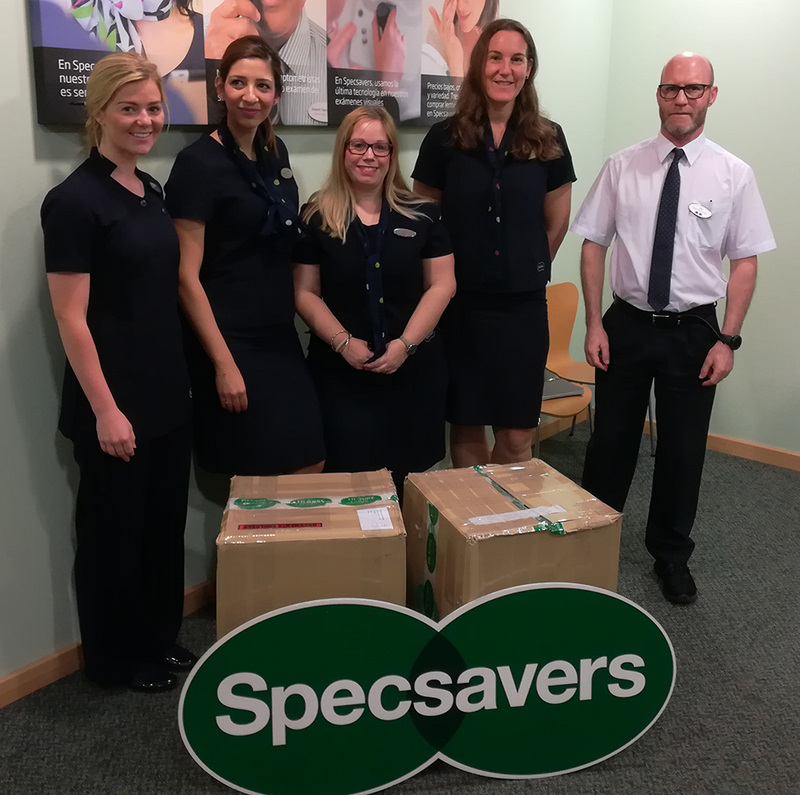 This is part of a national activity across all nine Specsavers Ópticas stores in Spain to renew their commitment to support the Lions Clubs in their region. Specsavers customers donate their old glasses at the store and these are picked up by Lions Club volunteers, then sent to the Melvin Jones glasses recycling centre near Alicante. At the centre, they clean, repair and sort the glasses into the different prescriptions and then send the glasses to where they can be used again. They send around 100,000 pairs of glasses to over 30 countries each year, predominantly in Latin America, Africa and Asia. The La Cala de Mijas Lions Club collected nearly 1,200 pairs of glasses this month, which were donated by Specsavers customers in Fuengirola. During this collection, the Directors and the charity pledged to work together to ensure more people in developing countries have access to the glasses they so desperately need.